While there are many factors that can contribute to septic system failure, the number one cause is ignoring your system. Here’s how to take care of it. Don’t wait until you have a problem to clean your septic tank. By then, it may be too late to resolve the underlying issue. Your tank should be cleaned routinely for maintenance, not as a last-ditch effort when you start to notice problems. Monitor your water use. Take reasonable showers and baths; use water responsibly in the sink, dishwasher, washing machine, and water softeners. Septic systems are designed to handle a specific maximum amount of wastewater per day. They are not designed to process an infinite amount of wastewater. Avoid water surges. In conjunction with how much water is used, using too much water within short periods of time can hydraulically overload the system. Try staggering laundry loads and multiple showers. 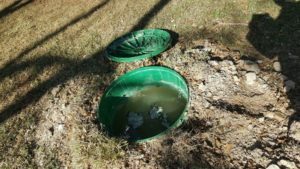 Don’t treat your septic system like a trash can. Only toilet paper and wastewater should be going down your drains, toilets, and garbage disposals. Even if products read “flushable,” they are usually not septic safe. Do not drive or park over any portion of your septic system. The system components can be damaged by the weight, plus the soil around the absorption area can be compacted. Don’t rely on septic additives to clean your tank. Your tank is meant to contain sludge: that’s it’s purpose. There is no product that can make the sludge magically disappear. Most additives don’t help the system, and some can even harm it. If you have ignored your septic system, don’t wait until it’s too late to start maintaining it. We’re happy to discuss steps you can take and answer any questions you may have. Give us a call at 210-698-2000 or contact us online here.